This excited string of words coming from family members at mealtimes, brings unexplainable delight to a mom’s heart – the whole world over! 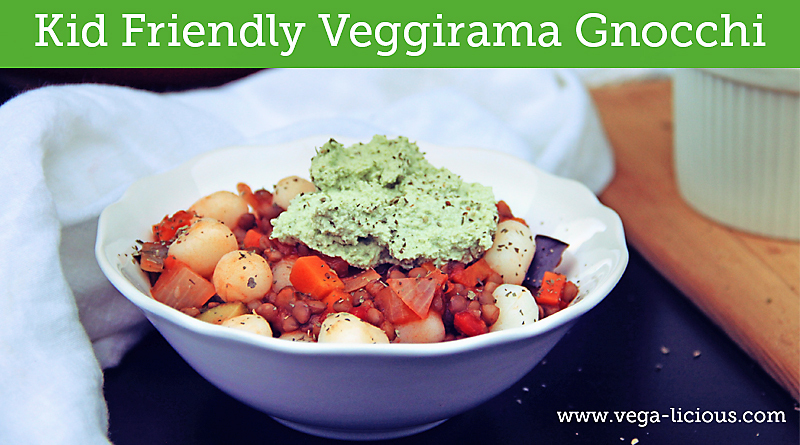 This Vegan Veggirama Gnocchi with Kid (and allergy-friendly) Basil Pesto is one of our family favorites. 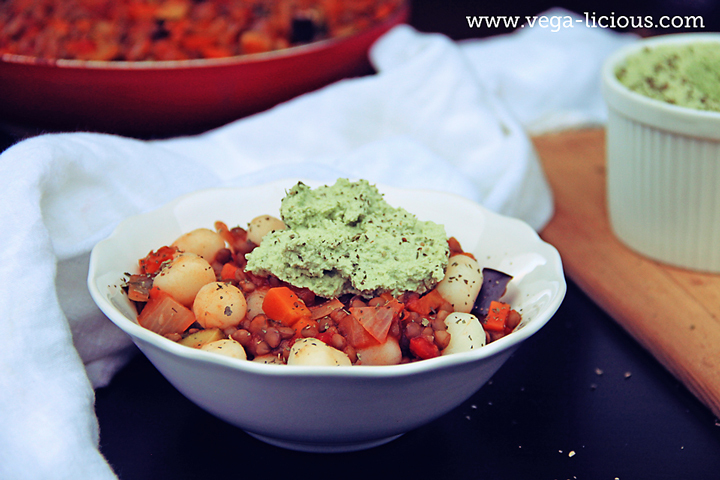 A delish, lightened-up, hearty meal that’s sure to make your family’s tummies sing! Without fail, our kids eat it up in record time, and always beg for more. Who would’ve thought that a bunch of little potato dough balls could bring such joy?! 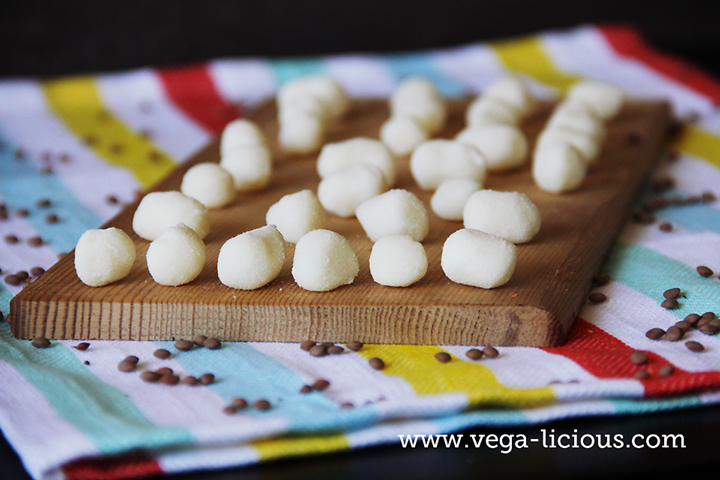 If you have the time, I highly recommend this super simple, awesome gnocchi recipe recently published by Elena. You’ll get hooked on the amazing taste of homemade gnocchi, and your extra bit of effort will be well rewarded, I promise you. The gnocchi can be prepared ahead of time and frozen for when you’re ready to use it, making it a quick meal to whip up. 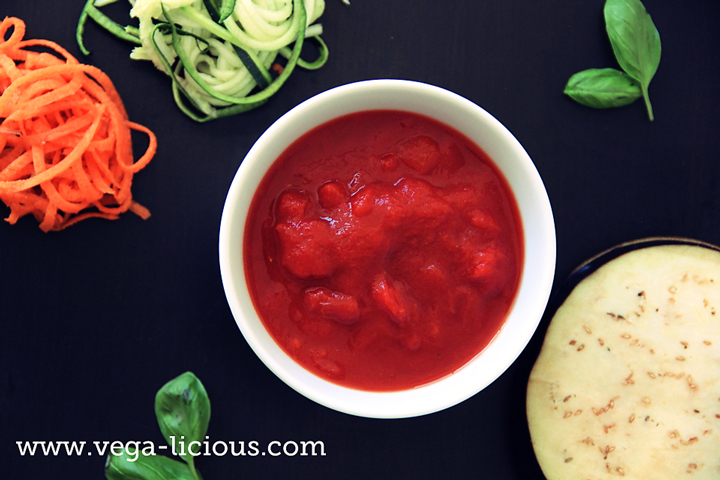 The morish veggirama sauce can easily be turned into a “veggie-smuggler” version for kids who are fussy-eaters. 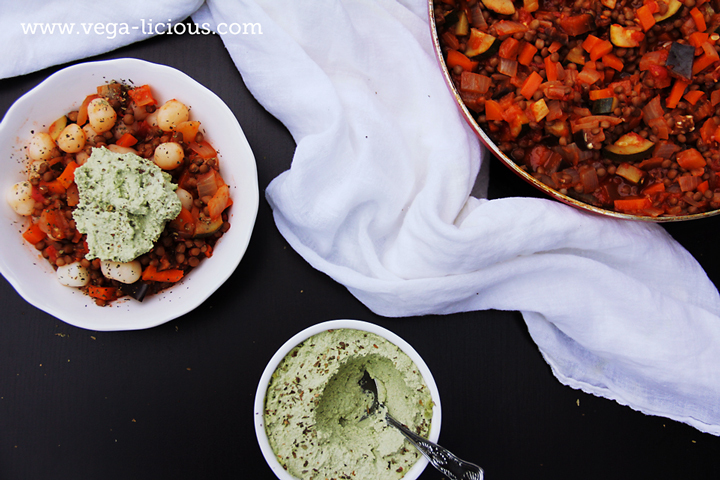 Simply puree the sauce once it’s cooked, and stir through the gnocchi to serve. The accompanying kid and allergy-friendly pesto is guaranteed to make your taste buds hop with delight. It is thick, creamy, zesty and subtle enough to tempt even the fussiest basil and garlic “non-lovers”. Optional: dried basil and/or pine nuts. 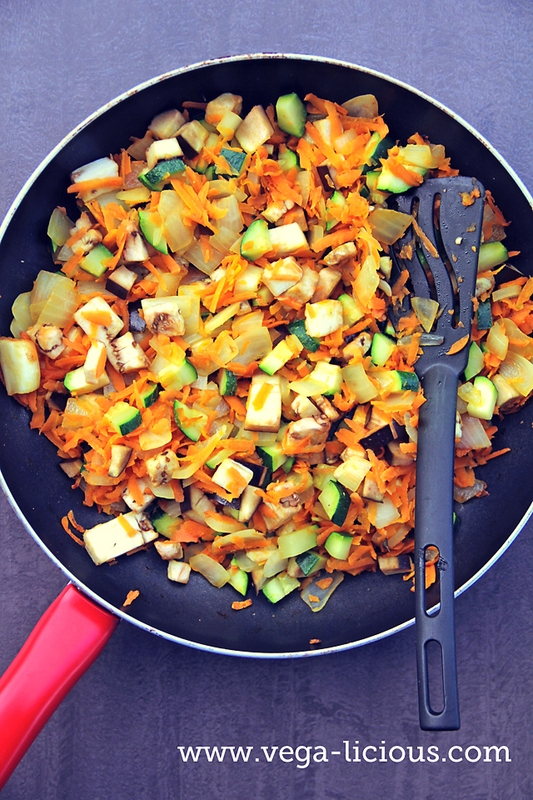 Combine the onion, carrot, zucchini, eggplant, oil/water and vegetable stock powder in a pan with a lid and mix well. Turn onto medium-high heat and cook until nearly soft (approximately 10 minutes). Remember to stir frequently and replace the lid when not stirring. 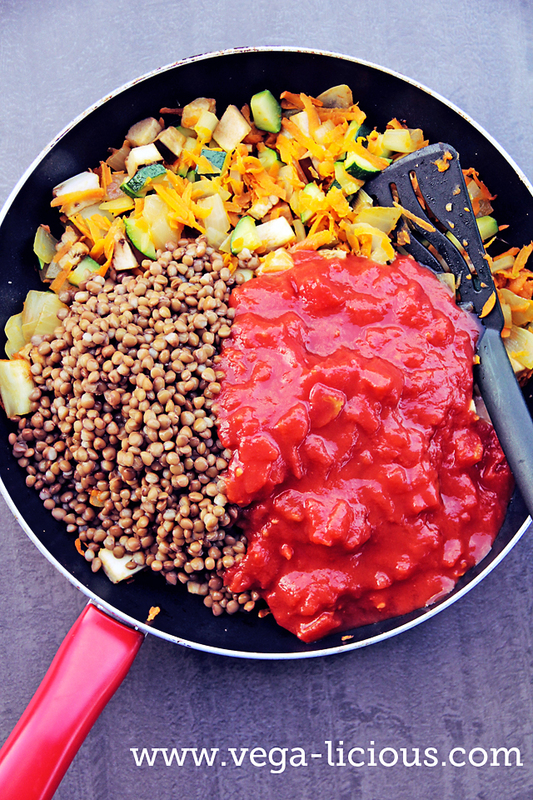 Stir in lentils, tin tomatoes, tomato paste and water and let cook for a further 5 minutes or until vegetables are cooked through. Once done, turn off heat and leave lid on top till ready to serve. 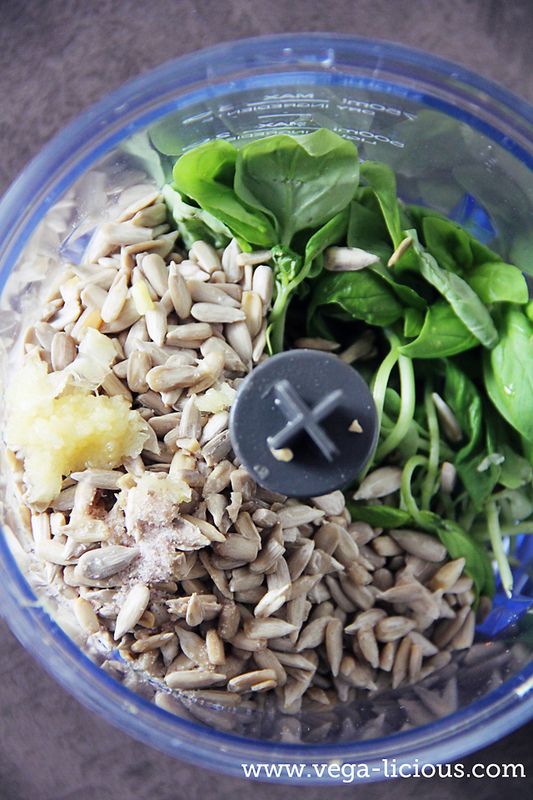 Pesto: Put all ingredients into a mini food processor (or use stick blender and a tall jug), and whizz until very smooth. Serve: Dish up individual serves of gnocchi with sauce on top or stirred through. 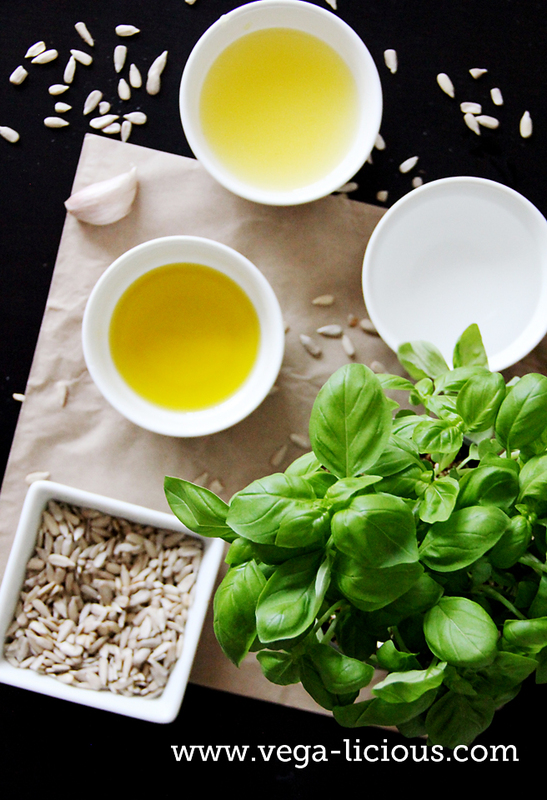 Top with a generous dollop of pesto and sprinkle with dried basil and/or pine nuts. Leave gnocchi in the pot with hot water until ready to serve. Puree the sauce once cooked for a “veggie-smuggler” version for fussy eaters. All images are courtesy of Marilyn Östring.